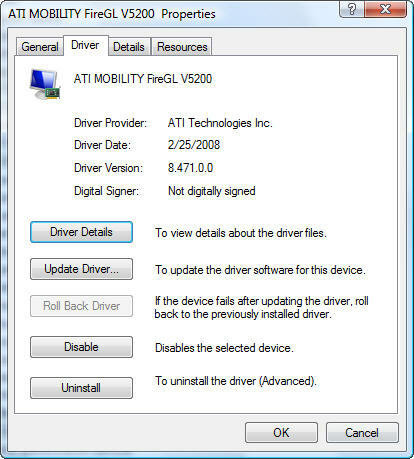 Since the last update two-three days ago of my notebook ATI video drivers I had only crashes! Finally thanks to the Vista Roll Back Driver I was able to go back to the previous version and I don’t have anymore crashes when I go in sleep mode. It would be time that we get something more stable from the gfx card manufacturers!